→Do You Want To Know What Is Spike Seasoning? Find Out What It Is And How To Use It! We take pleasure in eating sumptuous delicacies made with the labor of love. Who wouldn’t want a deliciously satisfying meal? And who wouldn’t want to make that great meal? Well, I bet everybody does have a chef inside their hearts! And maybe you are here looking for some things to make you better at cooking! 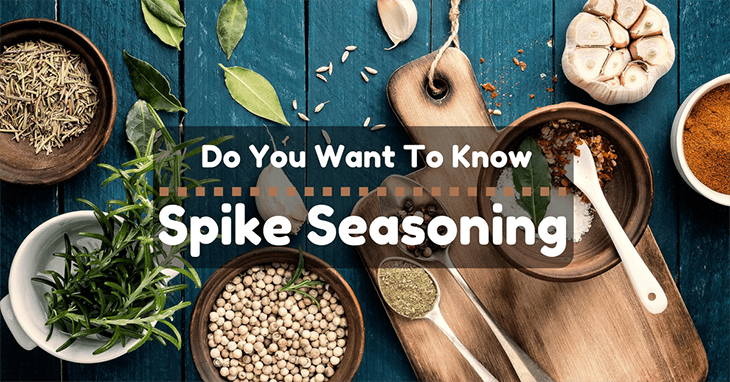 You may have heard of Spike seasoning, and you just can’t stop help asking what it is. What is Spike seasoning? While at it, let’s answer some few relevant questions too. What does Spike seasoning taste like? What does Spike seasoning contain? How do you use spike seasoning? Does it have MSG? Let’s find out! Do You Want To Know What Is Spike Seasoning? What Is Spike Seasoning?What Does Spike Seasoning Taste Like?What Does Spike Seasoning Contain? 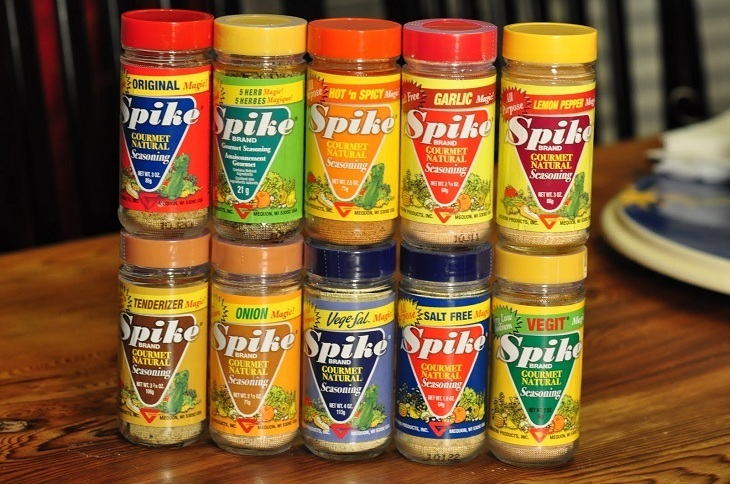 Spike is not your ordinary seasoning. It is packed with 39 natural ingredients! There is no MSG, so for you MSG watchers out there, you can have them in your recipe. The exact combination of the 39 ingredients is a trade secret. This product promises to bring flavor – no, they promise to spike your recipe! If you are old enough, you may have known or may have heard of the guy who formulated it. It was Gayelord Hauser, a nutritionist, who made this awesome mix of herbs and spices. What Does Spike Seasoning Taste Like? It’s a bit difficult to describe as it contains many ingredients to properly identify a specific taste. Like curry, it has a mixture of flavor, but not as strong as the curry mixes. The original flavor has salt in it and tastes quite a bit like a mix of Italian seasoning with a mix of American flavors. What do you know? Aside from the original flavor, they have also evolved their products and managed to come up with other seasoning mixes specific for your recipes! Now, they also have some zingy lemon pepper, Vege-Sal, a variant of meat tenderizer, onion, hot and spicy, five herbs, garlic, Vegeta, and a salt-free version for salt watchers. Spike is not intended to change the flavor of the food, rather, it enhances the flavor of the food. It melds with your base ingredient and brings out the best in your cooking! What Does Spike Seasoning Contain? It takes 39 ingredients in varying proportion to make a Spike seasoning! Here is a list so you could check for allergies. This list is quite long. But for safety, you can have a look to see if you have a history of getting a reaction from one of them. How Do You Use Spike Seasoning? 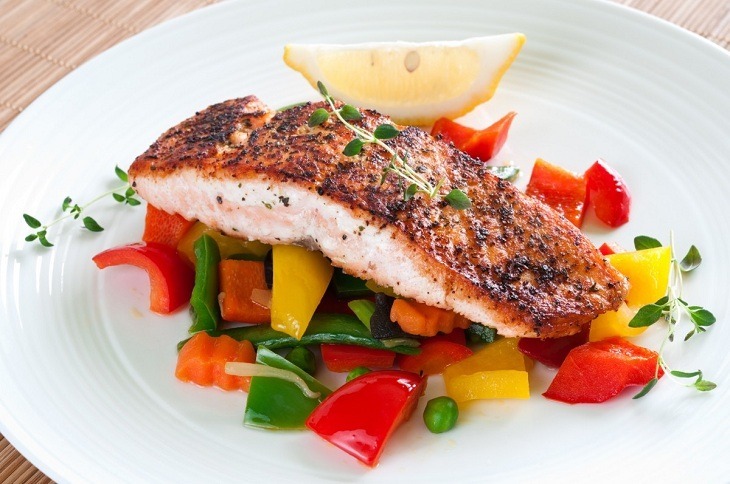 You may be overwhelmed with the flavor you can get from it and want to try it right away! But, relax! Here are some ways you can use them. Pick one you would cook for dinner! Spike can enhance and add flavor to your simple walleye fillets! Just sprinkle some, and you will have a delicious spiked fish! Bored of scrambled eggs? A lot of mommies swear that spike has truly spiked their scrambled eggs! A few dash and you get delicious spiked scrambled egg recipe! And you can use it in another poultry recipe too! You can add some on your baked chicken recipe to give it a new and unique flavor you haven’t tasted anywhere else yet. You can add it to other chicken and other poultry you want to cook. Pro Tip: You can substitute your salt with this! Or if you are not sure you are into the whole flavor of Spike, you can substitute half of the salt in your recipe with spike seasoning. 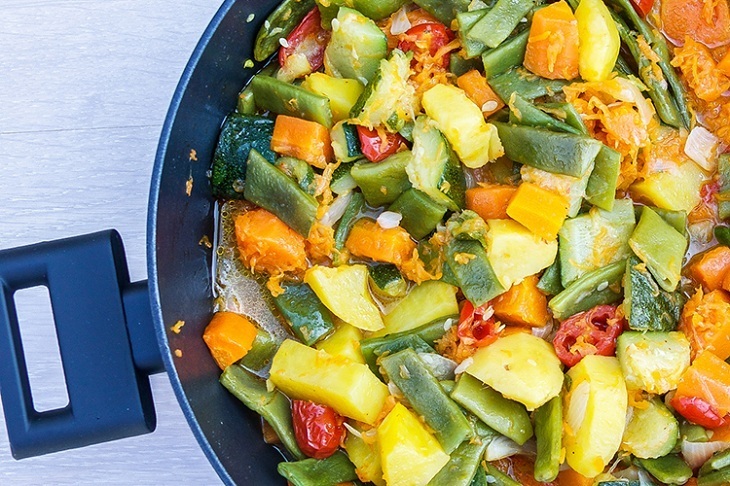 Veggies, for me, benefit the best from Spike seasoning. It truly enhances and gives vegetables with a flavor from another dimension. It’s like a perfect combination of good taste and healthy nutrition! Who said nutritious cannot be delicious? Spike veggies up! I can attest that a simple broth can be awesome with just a dash of Spike. Soup will do fine without it, but with it, you will instill lifelong cravings from friends and families! It’s like potion meant to make people fall in love with gastronomy! 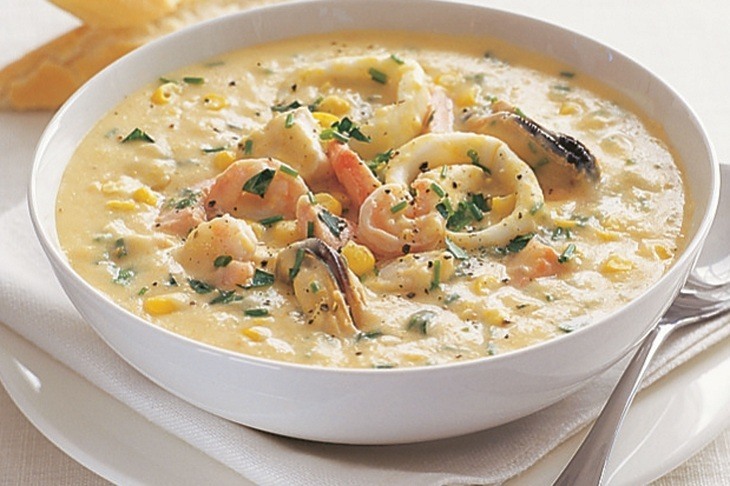 You are sure that every bowl of soup, chowder, and stews will be finished to the last drop! 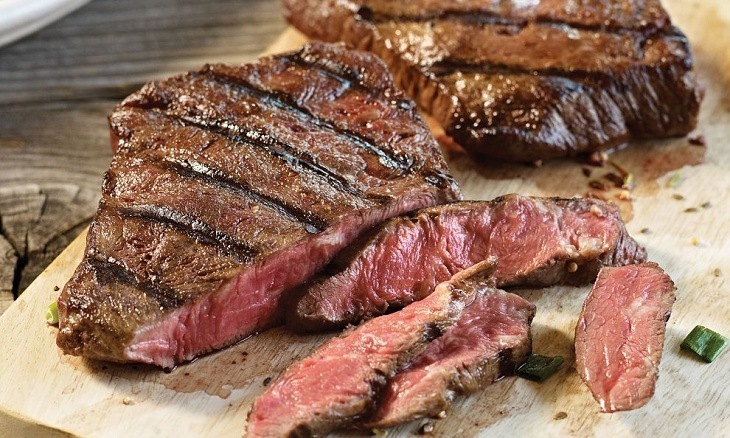 Salt and pepper is a wonderful combination to season your steak. Gravy made out of the juices left by the steak and a scoop of mashed potato is a nice dinner you would go home to every day. But if it is spiked with Spike, the taste just becomes inconceivable to words! What is Spike seasoning? Well, it’s like a magical seasoning that can impress your friends and family! Go on, do the grocery and remake your menu (or stick with it and add some spike!)! I bet you already have a few recipes you want to try out with Spike! Have you found this post interesting and informative? I hope you did! If you have learned a few things, share this page so that others may learn too! Don’t hesitate to ask questions, leave a comment below, and I will get back to you soon!